The reels are very similar. There are a few notable differences. 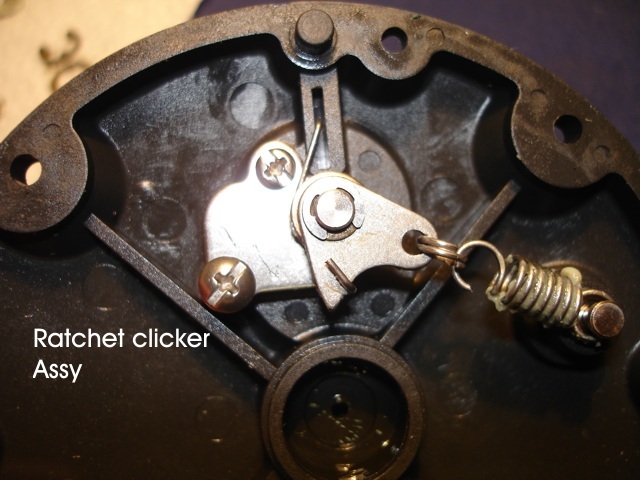 The 50 has 2 Anti-reverse Dog Pawls, a different Drag washer setup and a few arbitrary minor differences in Ratchet clicker Assy. @Reefman....with the Tor30, the dog pawl was strengthened with a drag spring, but on the Tor50 the layout inside the reel is slightly different and I don't think the spring system would work. What do you suggest be done in this case? 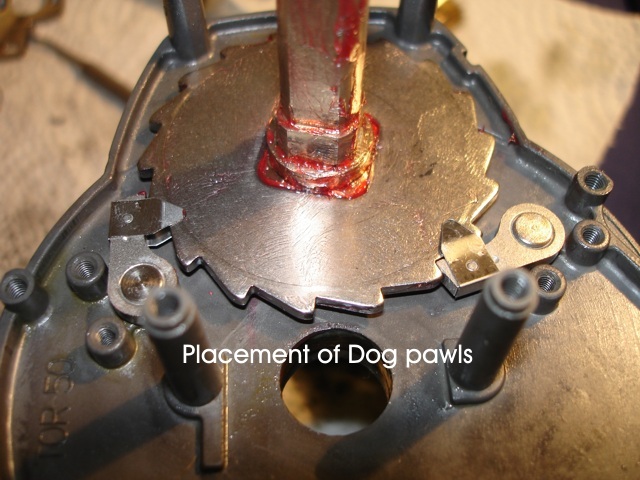 I wanted to put springs on my Tor50 dog pawls, as I have heard of cases where the anti-reverse system breaks and the reel basically grinds to a halt. Kosi... 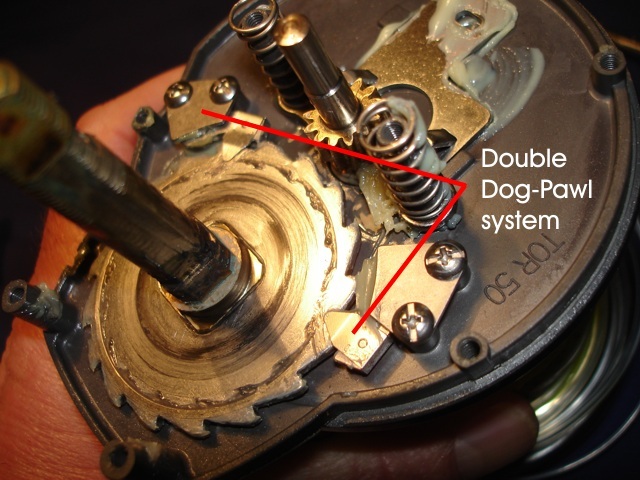 Probably the best way to do it would be to get 2 Dogpawl springs that come standard with the Trini DC. Adapt them to fit the Torium 50 shouldn't be too much of a problem. The Retainer plate should keep them in place quite nicely. Alan Tani does it this way. 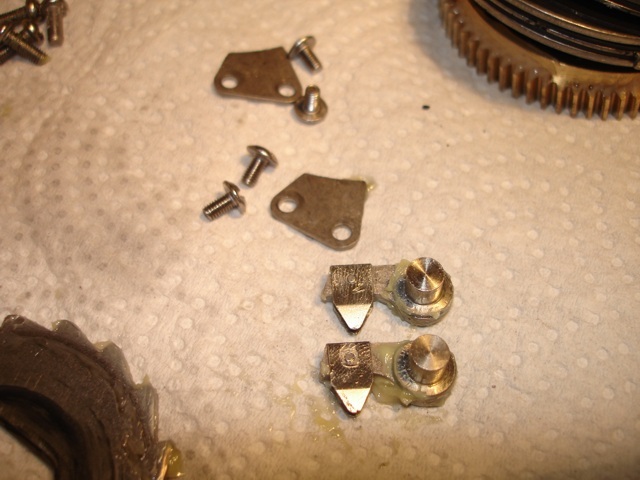 He placed a small washer first and then the DC spring over that, then screwed the Retainer plate back in. The bearing sizes ideally should be exact...? But if I had to chose, it would be the 11, that would be a closer fit. The 10 would be too loose. 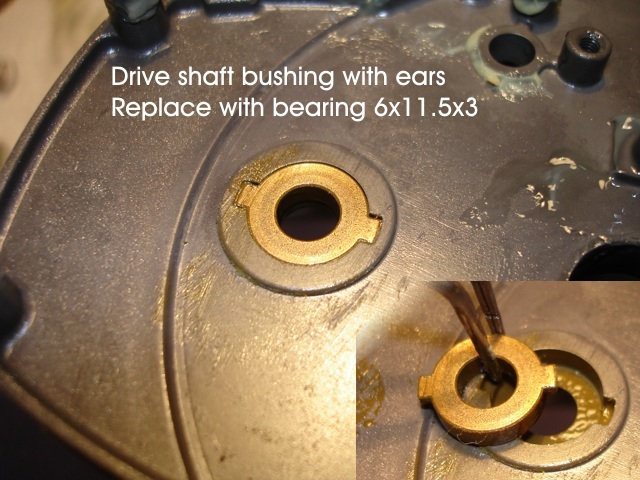 Alternatively, keep the original bushing. I can not get the correct size bearing anywhere. Does anyone know what the drive shaft bearing size is on the Trini 50? Will this bearing fit in the Torium 50 to replace the bush or where can I get the correct size bearing? Do you have any idea on the above mentioned? I don't know the size of the Trini 50 bearing Piet, otherwise I would have helped you already! If I had to hazard a guess, I reckon there's a good chance it will be the same size. 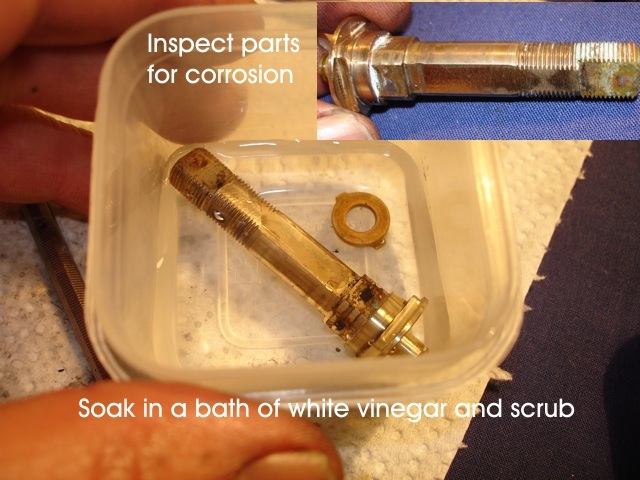 Is the existing bronze bushing worn that you want to replace it? If not, I would leave it alone. If there is one place on a reel a bronze bushing is probably better for longevity, its on the main shaft under the main gear assembly. I want to replace the bush as illustrated in the tutorial above. I do not see a problem with the standard bush but personally I would like the bearing. I do service my own reels regularly and like to pay special attention to the bearings. My wife recons I am full of nonsense when it comes to my reels. I will check the size on the Trini 50. Thanks. Personally I would leave it as a bushing. But, If it makes you happy, then replace it. I'm the same Piet... if something can be improved, then we'll try everything to do it. Do you know where I can get the 6 x11.5x3 bearing in Stainless steel. 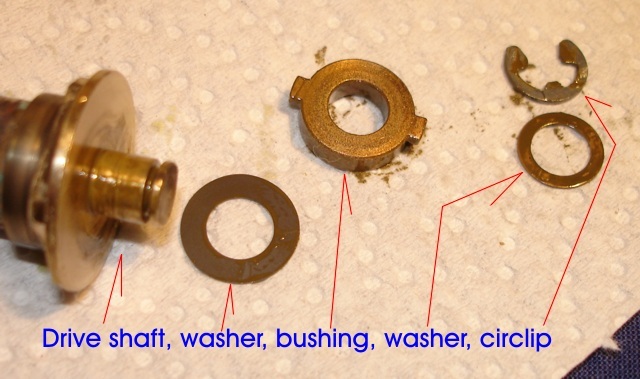 I stripped a Trini 50 and the bearing is not the same size as the bush in the Torium 50. So if anyone can find the correct size bearing please let me known where I cane get it.